Man Booker Prize-winning Australian novelist Richard Flanagan explores the dynamic between a ghost writer and his con-artist client, taking it to some very dark places indeed. A few years ago, Scottish writer Andrew O’Hagan recounted, in scathing and hilarious detail, his attempt to serve as ghost writer of the autobiography of Julian Assange, Australian-born founder of WikiLeaks. 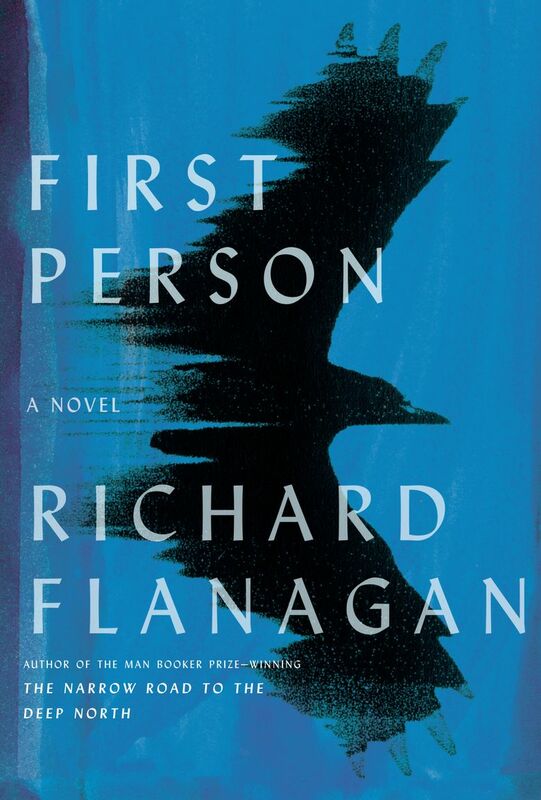 In “First Person,” Man Booker Prize-winning Australian novelist Richard Flanagan (“The Narrow Road to the Deep North”) explores a similar dynamic between a ghost writer and his client, taking it to some very dark places indeed. Kif has six weeks to finish the book before Ziggy, who has already burned through multiple ghost writers, is carted off to jail. The trouble is Ziggy is “just not interested in the book,” even if he’s desperate for the cash his publisher has promised him. He would rather talk about anything — goat sacrifices, toxoplasmosis, Nietzsche — other than his personal life. (“Our first battle was birth,” Kif says in the book’s opening line. “I wanted it in, he wanted it out.”) Ziggy continually spouts “rhetorical formulations that could mean everything or nothing.” His utterances are, for Kif, an exercise in frustration so extreme that they border on a kind of mysticism. Flanagan places you vividly in Kif’s mind as he deals with Ziggy’s nonstop flow of evasions, paranoia, boasts and rages. Kif’s own backstory — he was raised in a rural Tasmanian backwater, married a kindhearted woman he clearly doesn’t love and is probably deluding himself about his writing-career prospects — suggests he’s a likely Siegfried Heidl victim in the making. Still, when Ziggy makes a shocking demand of him, it’s as confounding to the reader as it is to Kif. Who is this guy, you wonder. Flanagan keeps the answers ambiguous, preferring instead to explore Ziggy’s effect on Kif. In the process, “First Person” becomes a sinister fable of identity exchange. While Flanagan seems to draw on Assange as a template for Heidl, he bends him to his own purposes. For one thing, the book is set mostly in 1992 and Ziggy’s high jinks are strictly financial rather than politically motivated. Still, Ziggy feels like a portent of things to come. He’s an indefatigable publicity seeker, always giving interviews when he should be working on the book. It’s no stretch to picture him in viral tweet mode. In the book’s last pages, as the story leaps forward to the corruption, corporate collapses and fiscal crises of 2008 and beyond, Kif confesses: “After Ziggy Heidl I can say this much: nothing surprised me.” Ziggy and Kif, though, in the wizardly hands of Flanagan, take deliciously menacing surprise turns.